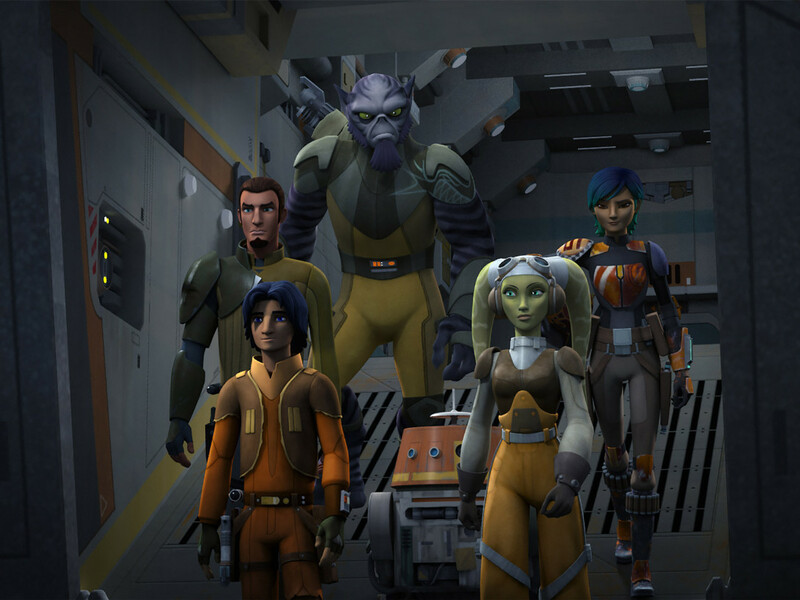 After what happened in last night’s Star Wars Rebels finale, one of the greatest mysteries of the series seems to be what awaits Ezra Bridger as he struggles between the light and dark sides of the Force. Like certain legendary heroes before and after him, Ezra has constantly found himself struggling between the two sides of the Force — and now, with such an emotionally-charged experience in an actual Sith temple, the red in Ezra’s eyes is becoming even clearer. 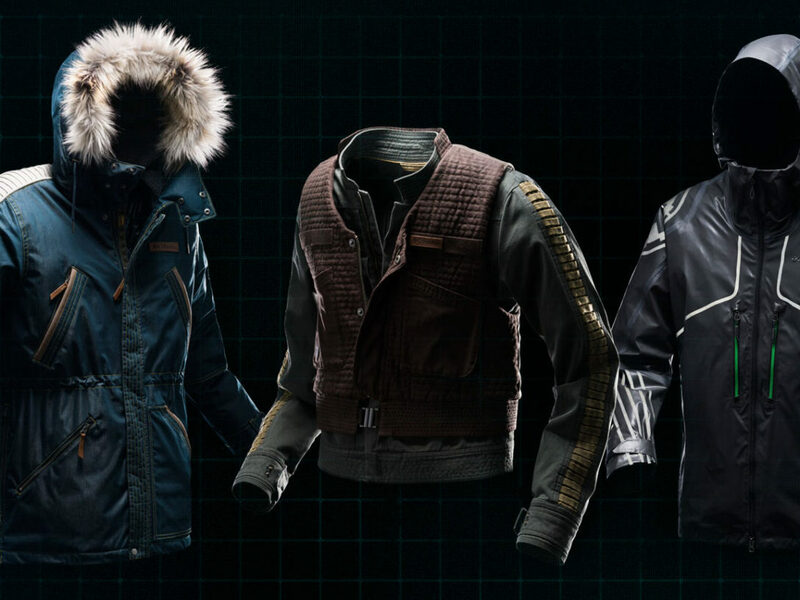 Whether outrunning shopkeepers or climbing rooftops, Ezra’s physical abilities have always been influenced by his natural connection to the Force. 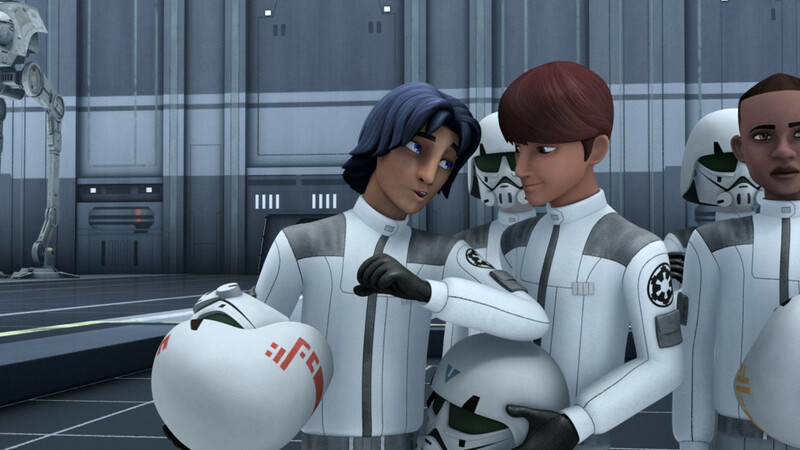 So once his training began, that ability grew with Ezra, and aided him in fantastic ways as he went undercover as an Imperial cadet at the Lothal Academy. Bounding from one frantically shifting block to another, Ezra may be giving away that what he’s doing is a little less than normal. 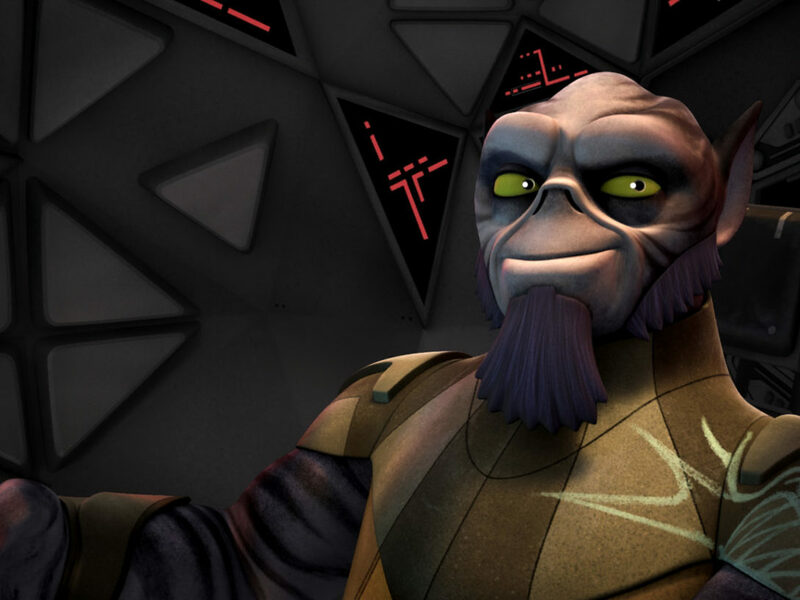 While Ezra did eventually admit to his new friend Zare Leonis that he was a Jedi, Commandant Aresko seems a little too caught up in himself to notice anything until it’s too late. 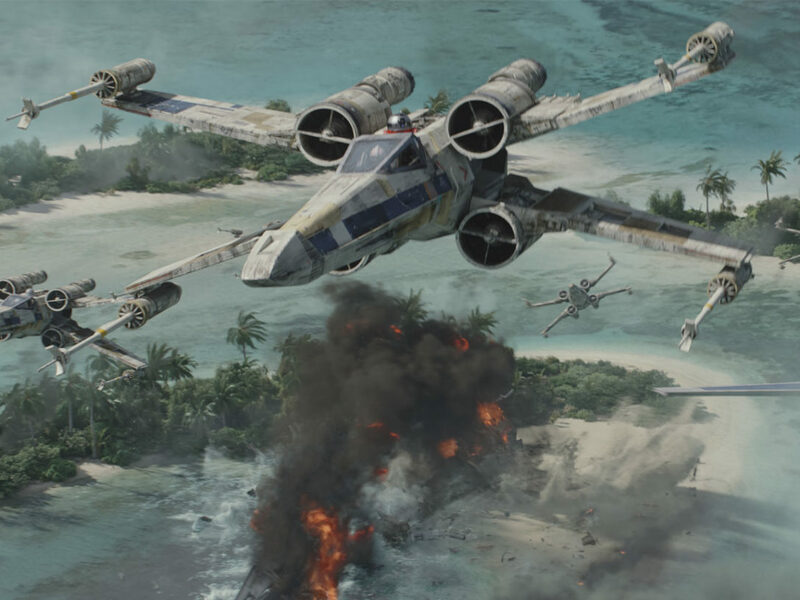 Thank goodness Tarkin and Vader came around to whip these Imperials into shape. 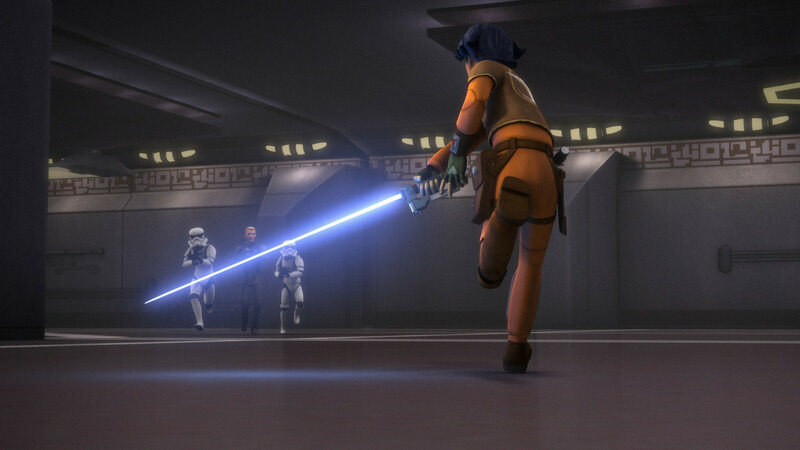 Ezra’s ability to connect with different creatures through the Force has held a particular focus over the course of the past season, but my absolute favorite is one of the first moments where the audience truly sees how possible it is for Ezra to fall to the dark side. Cornered by the Grand Inquisitor with his Master knocked unconscious, Ezra gives in to the dark side and summons a massive fyrnock to attack his foe. Overwhelmed by the power of the dark side, Ezra falls unconscious moments later, but the boy’s eyes in the moment foretold of a very possible dark future. 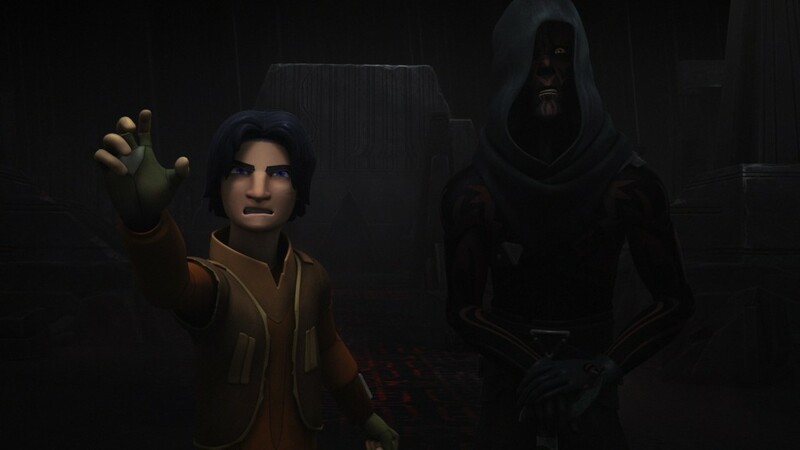 In “Twilight of the Apprentice,” Ezra’s Jedi training is pitted against his own feelings when Maul explains that Ezra must open the Sith Temple. Despite being taught to control his feelings, Maul teaches Ezra to harness the pain stemming from the loss of his parents to the destruction that the Empire has caused before his very own eyes. In one beautiful, wide shot, Ezra opens the massive door that leads into the Sith Temple — and even more challenging obstacles. Another fascinating interaction that Ezra has with creatures through the Force is with the purrgil. Despite Hera’s insistence that the tentacled creatures are nothing but trouble, Ezra reaches out and connects with them to the point where he basically befriends the whole herd. It is because of this extraordinary connection that Ezra sees a vision of hyperspace in the eyes of the king purrgil, and discovers that the legends about the majestic creatures — said to have inspired the exploration of hyperspace — were true all along. I’ll admit it: I’m cheating a little here, because there are two incredible moments where Ezra connects with Yoda through the Force that I’d like to talk about. The first involves another terrifying scene with the Grand Inquisitor during Ezra’s first foray into the Jedi Temple on Lothal. 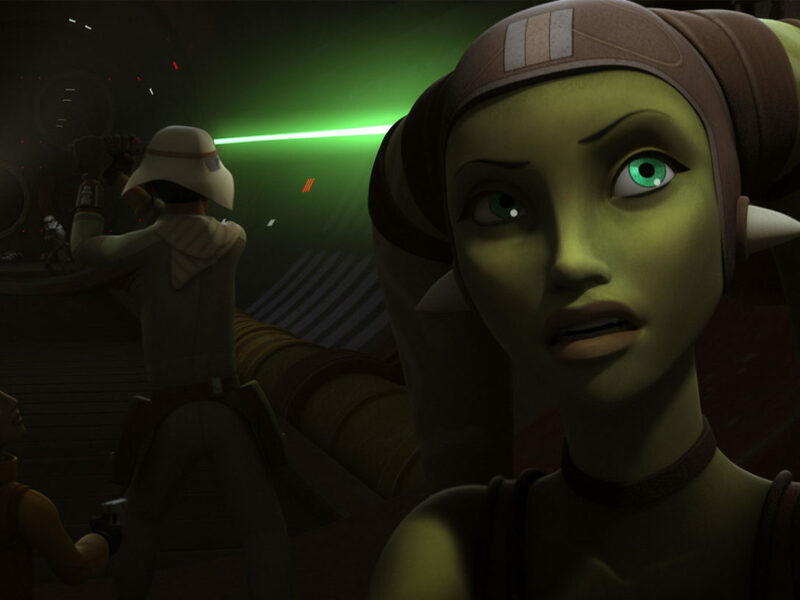 While searching for his kyber crystal, Ezra hallucinates his enemy’s arrival and struggles until he manages to overcome his fear. 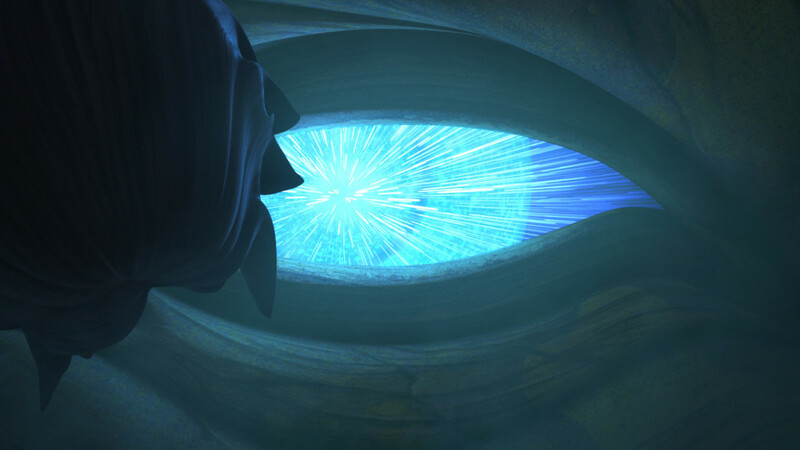 After seeing through the illusion, Ezra hears Yoda’s voice calling to him through the Force, instructing Ezra to “see more clearly” what he had not before. 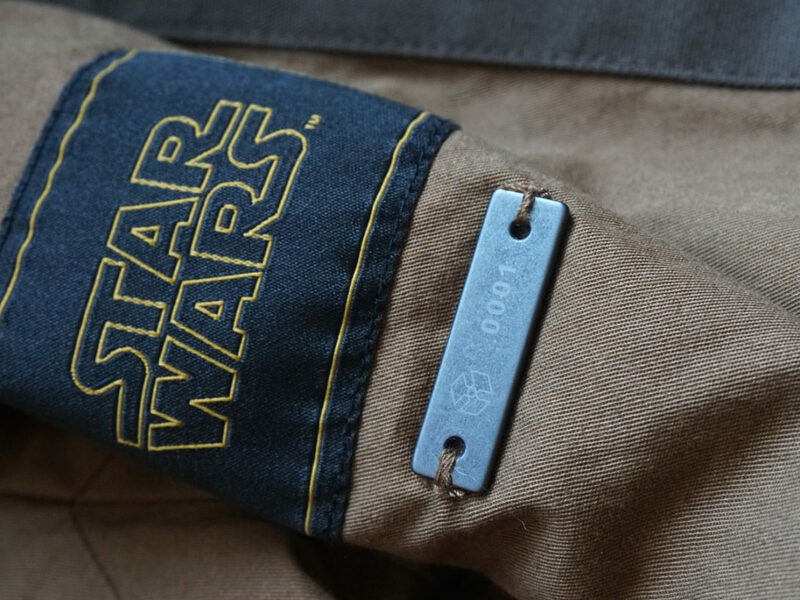 With Yoda’s guidance, Ezra realizes why he wants to become a Jedi, and finds his kyber crystal — the first piece needed to build his unique lightsaber. 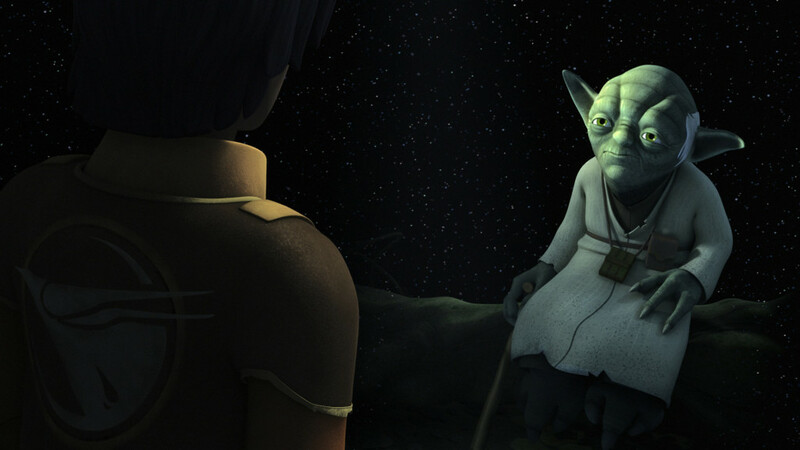 Of course, nothing tops Ezra’s meeting with Yoda as he journeys into the Temple again, the wise old Jedi Master appearing to Ezra in a vision and asking the boy once more to consider the path he follows. 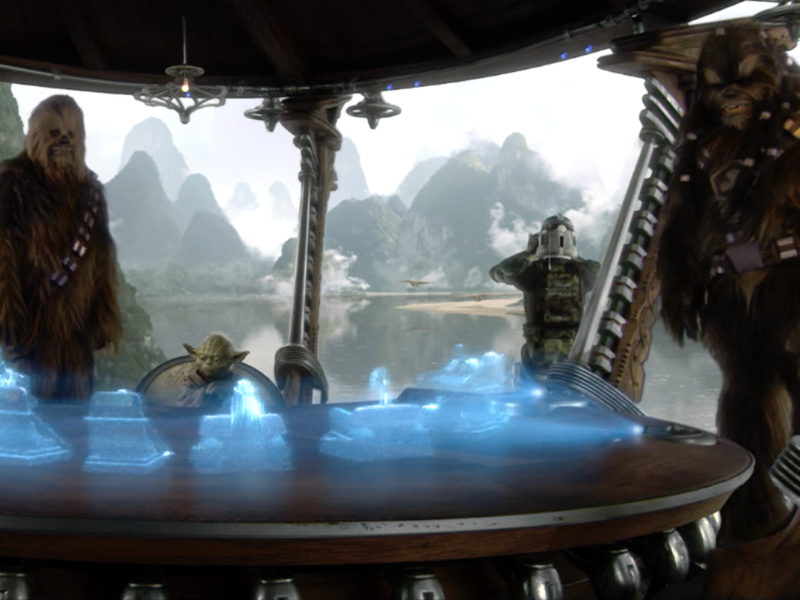 Both of these moments stand out as something special, because not only to they demonstrate Ezra’s ability to communicate with others through the Force, but they also show the Force in action as Ezra’s connection to it assists his personal development. 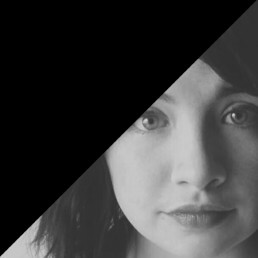 Ezra’s incredible moments with the Force range from heart-stopping to reality-altering, but the consistent theme in all of this is his growth and his struggle. Against all odds, Ezra wants to do the right thing at his core, and must do everything he can to stay on the path of the Jedi instead of getting caught up in the anger and fear that clouds his tragic past. 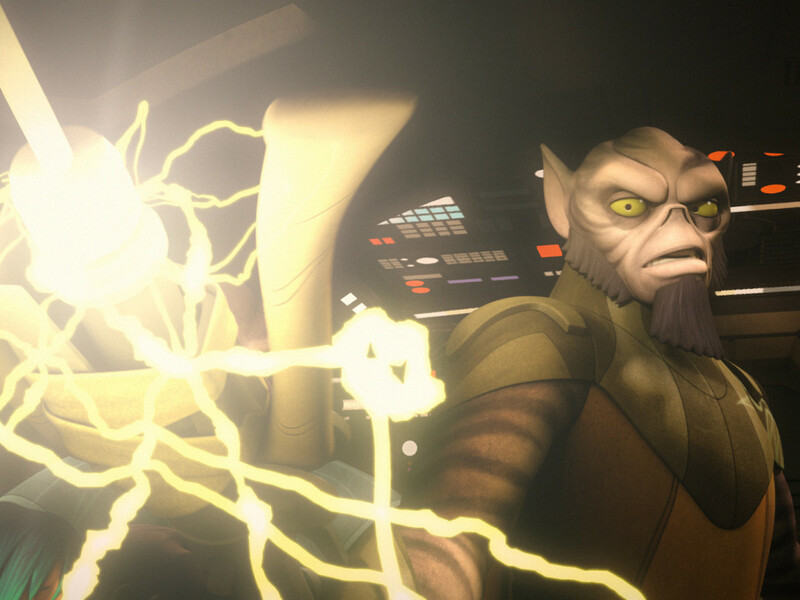 The most important thing to remember when considering Ezra’s journey is that the future is never set in stone. 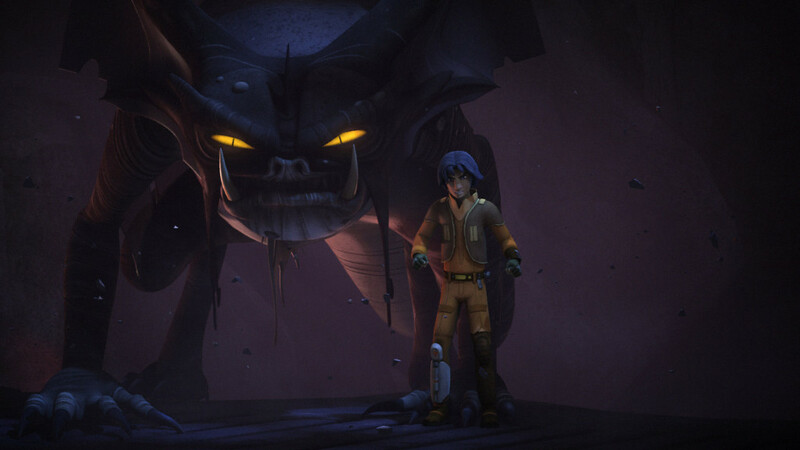 No matter what happens, his development has been impressive, and the story of Ezra Bridger will be one for the ages.